In this installment, it’s Kay’s birthday. She’s finally having a romantic moment alone with Benton, finally happy, AFTER 20 SOME ODD BOOKS, and crap hits the fan. It’s like she’s not allowed to be happy even for five seconds. It also bothers me that she never tells Benton she loves him back. Anyhow, someone has gotten too close to home and left 7 pennies perfectly polished and aligned against the wall in their backyard. I won’t spoil anyone by saying what they represent, but given that this is a murder mystery you can probably guess. This book started out interesting and generally kept the momentum until about a fourth of the way through. By that point my eyes started to glaze over. I like when characters are directly involved and in peril, but when it’s every single book it gets a little annoying. This time the target is Lucy, who’s being framed. The ending of the book made me groan because it was super predictable and, like always, ended far too abruptly. I was aggravated a bit by the fact that Cornwell resurrected yet another bad guy all of a sudden. First it was Chandonne, and now it’s Carrie Grethens. Cornwell paints these scenes where these people die, in a basement at Benton’s hand or an exploding helicopter, and suddenly they’re back in the fray a few books later. I was especially aggravated by Chandonne’s reappearance. But I digress. The ending of this book was disappointing. Yet again Kay gets attacked. 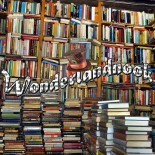 Yet again the book skips two weeks ahead almost immediately, and everything is fine. That bothers me. Cornwell loses so much action time, so much description and whatnot, by suddenly skipping ahead right in the middle of serious action. Yes, Kay survives each time. Duh. But HOW does she survive? I don’t want to know two weeks after the fact when it’s not even a topic of conversation, I want the scene to be painted before me as if I’m watching Kay struggle underwater, trying to get away from Carrie. I feel like each time Cornwell jumps ahead I miss a massive part of the story. 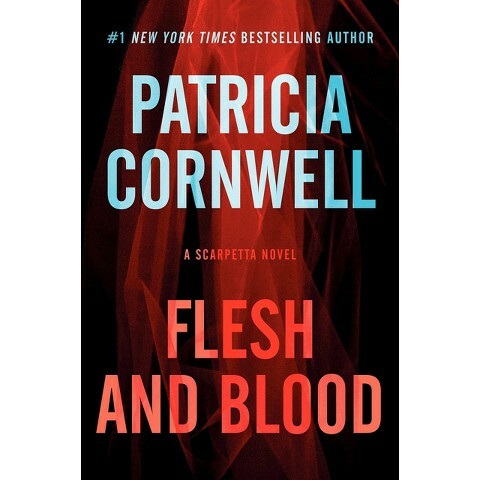 This entry was posted on July 16, 2015 by wonderlandnook in Reviews and tagged blood, books, crime, fiction, flesh and blood, kay scarpetta, mystery, patricia cornwell, reading, revenge, romance. My #owlcrate came today! Ft. the item I mistook for a cookie because of its packaging. It's nope-meal raisin flavored. My friend asked what Owlcrate is. My response? "Pure majesty in a box."